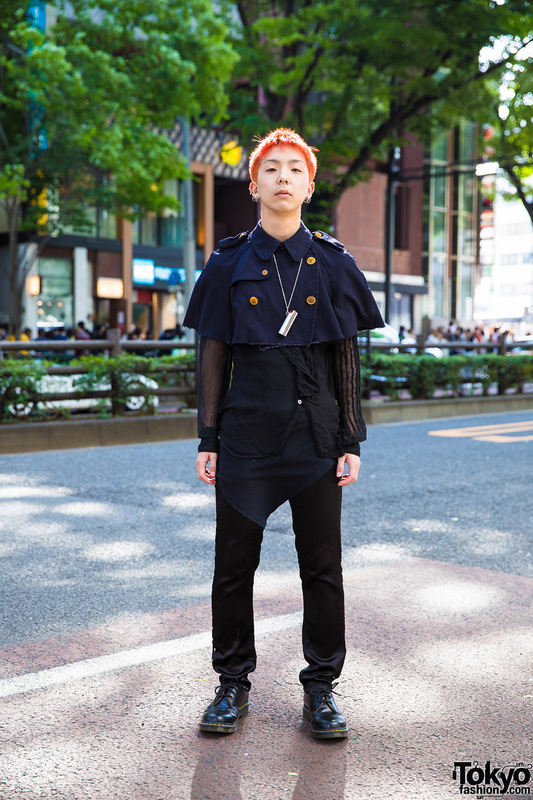 Harajuku guy in blunt bob sporting an all black look with cutout jacket, graphic print sweatshirt, wide leg pants with skirt panel, buckle boots and a leather choker. 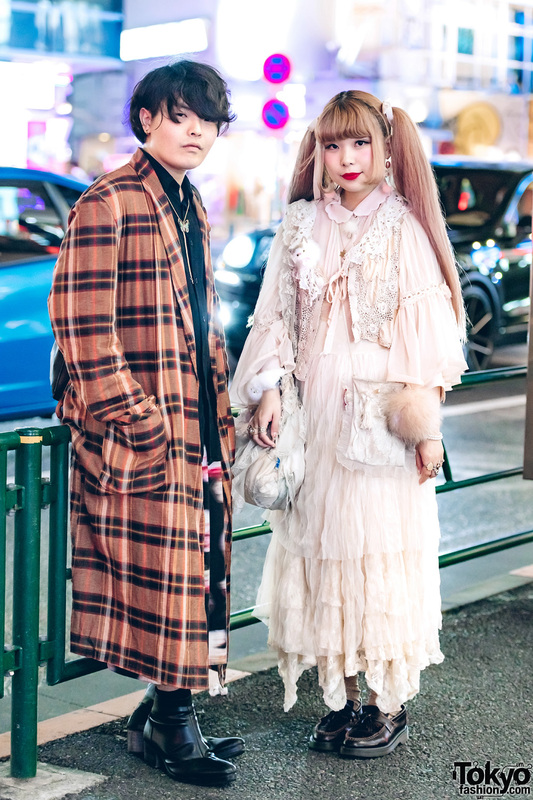 Harajuku girls sporting colorful eclectic street styles while out and about on the street one early evening. Red-and-orange haired student wearing a cropped collarless jacket, purple shirt, pants, lace-up shoes and accessories. Harajuku student dressed in a two-tone collarless jacket, faux leather pants, zipper boots and printed tote bag. 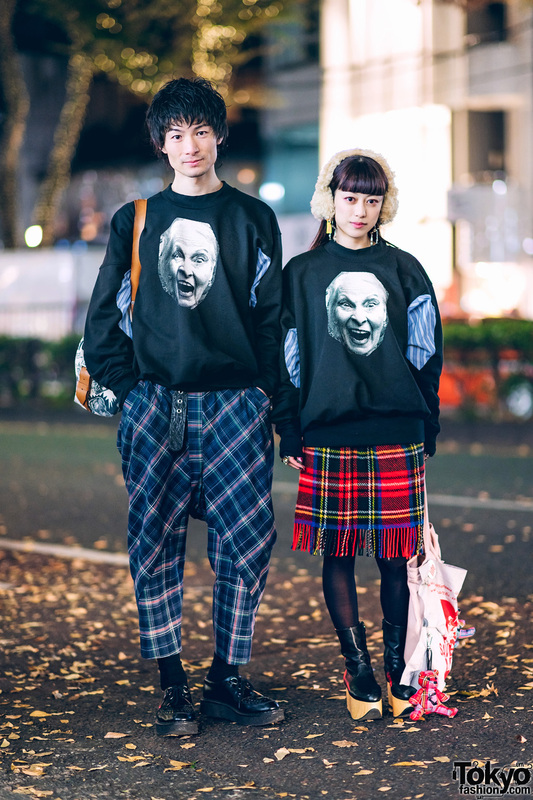 Stylish teenaged couple in dark streetwear while out and about in Harajuku. 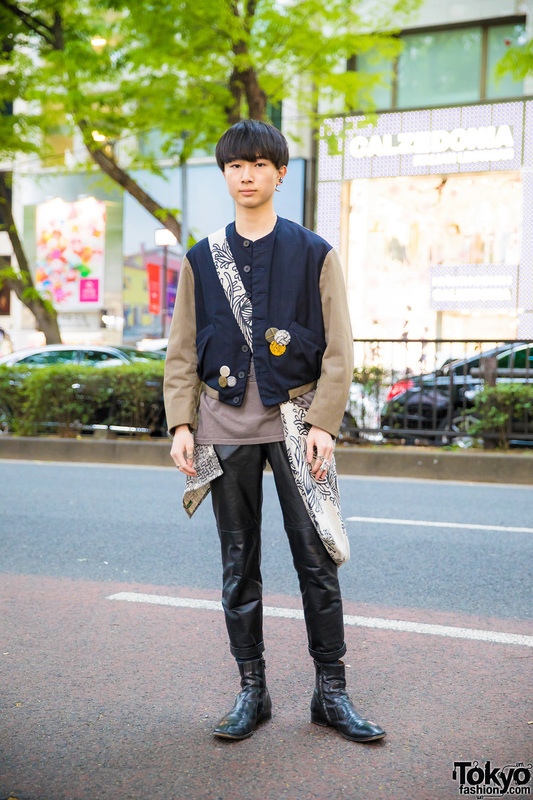 Japanese designers sporting vintage and antique street styles in Harajuku.